Observation - Spear Mint - UK and Ireland. Description: Small patch of plants up to 70cm tall with long flower spikes and fairly narrow pointed leaves. Noticeable smell and taste of spear mint. Small patch of plants up to 70cm tall with long flower spikes and fairly narrow pointed leaves. 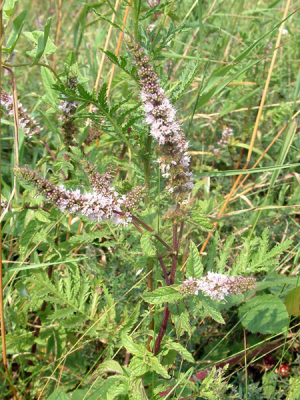 Noticeable smell and taste of spear mint.